Wow, it feels like so long since I last wrote one of these posts. This past month has definitely been very busy. I haven’t had much time to read, or write any blog posts for that matter either. That’s mainly because I’ve been spending my time working on an exciting new project that I’ll be announcing soon. 😉 But that also means I only read five books this month because it’s been hard to find any time to read. I’m hoping I’ll be able to read more next month because I have a week off of school. 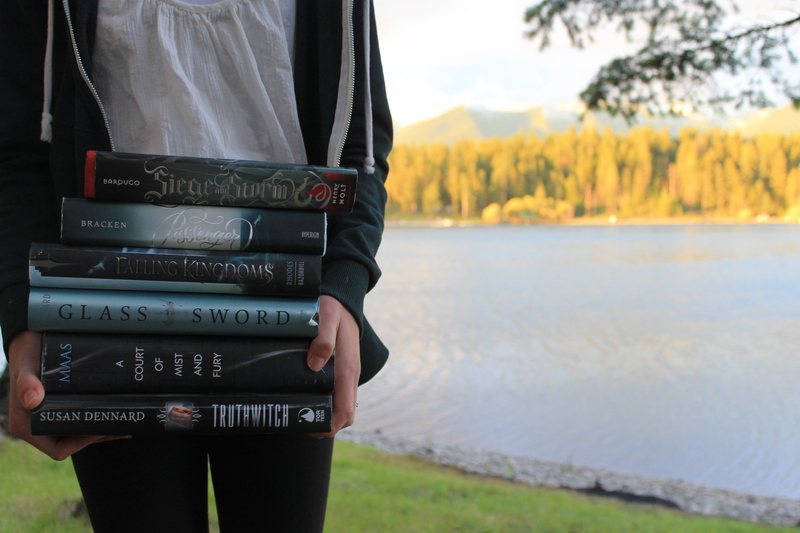 Should We Count Novellas Towards Our Reading Goals? So, as you can see, I kind of took a blogging break for the second half of January. That’s because I’m working on a very exciting project I will be announcing next week! You can follow me on Instagram for sneak peaks. I had an amazing month though. 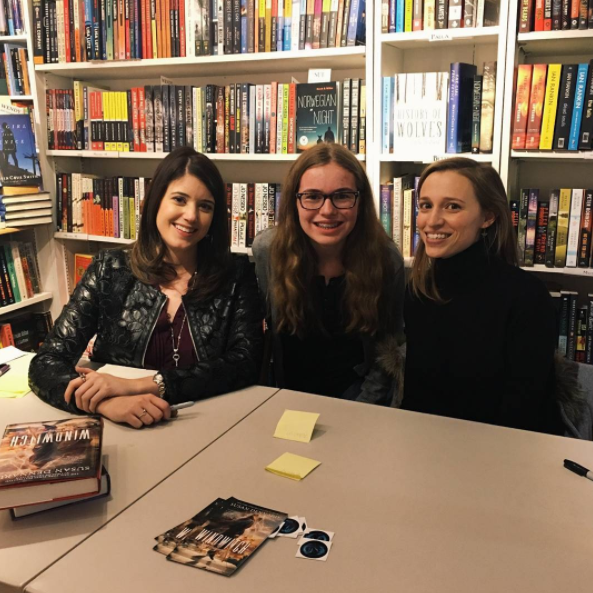 My birthday was on January 10th and I attended one of Alexandra Bracken and Susan Dennard’s signings right around then. They are both such kind and amazing authors, I loved getting to meet them! I fell in love with bookish candles this past month. In fact, I was actually chosen as a rep for two candle companies on Instagram! How exciting is that? I also finally watched the She Loves Me 2016 Broadway Cast livestream and I LOVED it! There is so much you miss from listening to the album and not actually seeing the show. I will definitely be watching that one again. Overall, January was a great month 🙂 I feel like not a whole lot really happened. And I really want to tell you all about the surprise but I won’t do it. Just you wait (Hamilton?) . I didn’t read, or write much for that matter either, but I have a week off of school this month, so I’ll be spending a lot of time reading then. What did you read in January? What was the highlight of the month for you? Seeing how much you loved A List of Cages makes me even more excited to read it! I got it from the library a few days ago so I’ll definitely be getting to it soon. And I’m SO JEALOUS that you got to go to that book signing! I really wanted to go, but I went back to school at exactly the wrong time so I missed the CA event AND the MA event. Oooh I’m so excited to get the details about your new project 😀 Congrats on getting to rep 2 companies!! And meeting 2 authors for your birthday. Not a lot happened to me in January either. I only ended up reading 4 books. I think my favourite book I read this month was a quiet kind of thunder, I just fell in love with it! And the highlight of my month was probably putting my deposit down for a flat next year! Great wrap up, can’t wait to see what you have planned! Uh, I read so many great books in January! I think my faves were Gemina, Boy Robot, History is All You Left Me, Final Girl, and The Perfect Stranger! They’re are probably a lot more that I’m missing. And highlight? SO MANY. I reached 50 followers, I got tagged for my first blogging award, I finally figured out how to make good graphics. It was a really good first month of blogging!